New York City's Chinatown has been heavily impacted by air pollution. 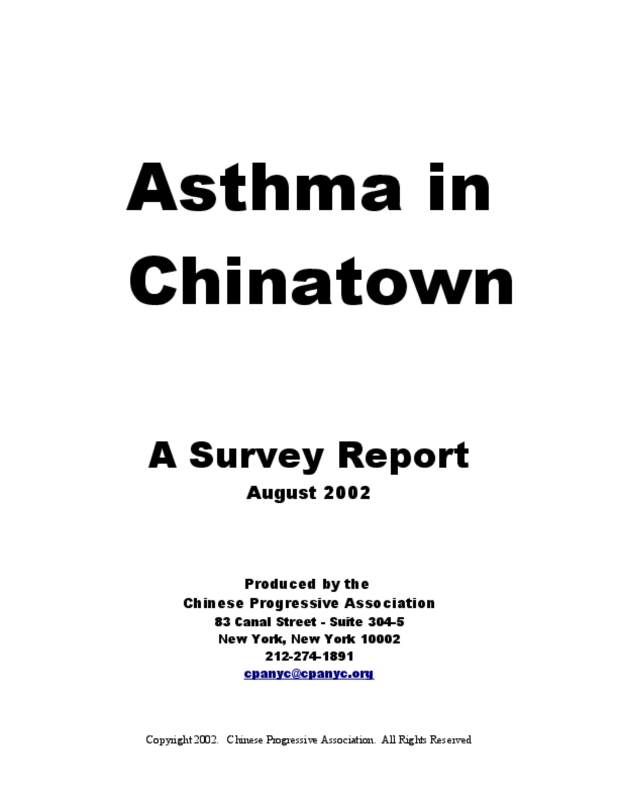 The Chinese Progressive Association (CPA) designed this survey to get a more complete picture of the asthma problem in the Chinatown area. CPA volunteers and staff surveyed residents from a total of 580 households, representing 2040 individuals. This report outlines the results of the survey. The report also contains recommendations that will improve air quality and protect the health of the community. Copyright 2002 Chinese Progressive Association. All rights reserved.